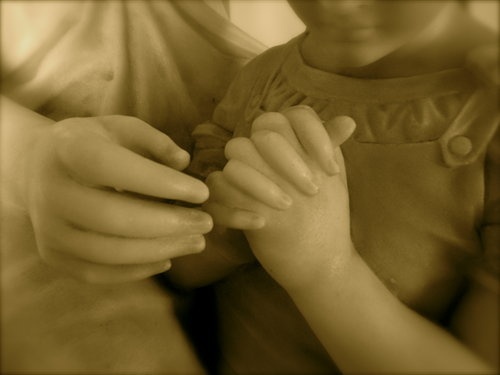 When I was a boy, my mother, a good Christian woman, led me and my siblings in a series of nighttime prayers, which she repeated at our bedside each night, year after year. I can still remember the routine. She would enter the bedroom, sit on the edge of the bed, and recite the same string of phrases, prayerful sound-bytes that contained powerful truths. Sometimes we would say them together. Other nights, when the sand in my eyes was drawing me fast into slumber, she would say them for us both. I have loved you with an everlasting love – you are mine, says the Lord. Mother Mary, I belong to you. Keep me and guard me as your property and possession. Jesus, Mary and Joseph, I give you my heart and my soul; Jesus, Mary and Joseph, assist me in my last agony; Jesus, Mary and Joseph, may I breathe forth my soul in peace with thee, amen. There were a few more like that. Comforting, Christian prayers. Now I was not particularly pious by nature – perhaps few boys are – but these soothing words, even if it was just something that mum did, informed my faith in ways I can only recognize properly with hindsight. These prayers (and my mother's voice) imaged God for me in a fundamentally formative way. There was one particular prayer that stayed with me over the years, and it belonged, however, to the morning. Mum made me learn it by rote, so it was one I could do by myself. Long before I learned to develop a taste for regular meditative prayer, there was the simple words of the Morning Offering. In later years, it was a fall-back prayer whenever I found myself in times of desert, times when I had dropped the habit of prayer. It only took fifteen seconds to say, so it was easy to do, but I started noticing that the days in which I prayed it tended to be “good days”, compared to days in which I did not pray. Most Sacred Heart of Jesus, through the Immaculate Heart of Mary, I offer you my prayers, works, joys and sufferings of this day. In union with the holy sacrifice of the Mass offered throughout the world, in reparation for my sins, for the intentions of your most Sacred Heart. And for the Holy Father’s intentions for this month, I pray. Amen. I’m going to boldly assert that every child, male or female, age seven or seventy-seven, should learn the Morning Offering and pray it. It only takes fifteen seconds to recite, but it contains a world of significance, and is therefore one of the most valuable spiritual investments an individual can make. If we unpack it, line-by-line, we can see how richly endowed it is with theological truth. This title is loaded with meaning. It evokes the holiness of God with the word sacred. It also tells us that Jesus not only has a heart, but IS a Heart, which is to say that “God is love”. Right away we are reminded that Christ is a fathomless abyss of love: for me personally and for humanity. The next line immediately reminds us that Jesus has given us His mother – think of his words about this from the cross – and that he has given her a powerful participatory role in the economy of grace. Through her own pure heart, which felt so keenly the sufferings of her son, graces also flow to and from heaven. It’s a good idea to stay close to her. The act of offering to God is a powerful act of filial trust, like an act of worship, and is a most religious act. It is also imitating what Christ did to the Father to a perfect degree. Here I am giving to the Father through the Son everything important today. Hopefully I will pray in other ways too, but I’m also asking that my actions, whether consciously or unconsciously, will also be working for Him as well. This day may contain consolations; it may also contain sorrows and setbacks. If these are all given over to Jesus at the beginning, then all can be experienced “in Christ”. Burdens will then be light, and my entire day be potentially made fruitful for His Kingdom. Here I unite myself with the greatest of all prayers, that of Jesus at the last supper and on Calvary, which is reenacted at every Mass, where the greatest of graces are given into our lives and into the world. Even if I can’t make it to daily Mass that day, I can at least unify my heart with that great Heart in an act of spiritual communion. Yes, I am sinner, saved by grace, as Pope Francis described himself. It is very healthy to remind myself of this humbling reality at least once a day. By offering everything to God I am continuing, in a way similar to our penances after Reconciliation, to participate in the restoration of that which my past sins may have damaged. In this way, I am helping Jesus make all things new. St. Thérèse of Lisieux stopped praying for her own desires at one point in her religious life, deciding to offer all her prayers and sufferings for “whatever Jesus desired”. Now, Jesus encouraged us to ask things of the Father (“and He will give it”), but the Theresian point which I see embodied in this line, is that we should also consider what Jesus wants. All too often we look to God for our own needs – which, I repeat, is a good thing – but can forget that God is a living Being who actually has desires for his creatures. So this line is an act of love that helps us participate in His redeeming work. This final line adds a “universal touch” to my morning offering, reminding me that am not a solitary prayer-person, but part of a great community of believers, whose unity and communion is represented in the figure of the Pope. The Holy Father actually has monthly prayer intentions, which are promoted by a Jesuit ministry called The Apostleship of Prayer, which receives them directly from the Pope and promotes them around the world. Whether I know the monthly intention or not, with this last line, I unite my prayer to that of millions of fellow Catholics in the Church to which I belong. and that I belong to the Catholic Church which also prays for the world. It is a fifteen-second credo or catechesis in the spiritual life. It sustained me when I otherwise would not have prayed or didn’t know how to pray. It continues to nourish me even now in religious life. It’s still the first prayer I make when I roll out of bed, and sets the others in motion. Thank you, mother, for starting me off in the life of prayer! May you, dear reader, be sustained by this practical habit as well. Great article, John. I've been thinking about doing regular morning prayer with the boys, but shied away from this one because I thought it was too "intellectual" for preschoolers. But this is a good reminder that they can learn something without fully understanding it, and unpack it later. 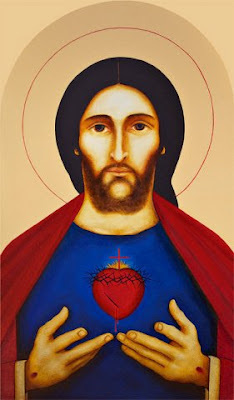 You helped me understand the idea of referring to Christ as the "Sacred Heart", thank you. Mine has little differences, like, "all my prayers" etc., Mass "celebrated throughout the world", (I suppose "offered" and "celebrated" have slightly different connotations or can make one view the sacrifice in a particular light...?). "For the salvation of souls and union of all Christians" which I suppose are implied in Jesus' intentions, "for our Holy Father's health and intentions", and for all those who asked for my prayers and those who I said I would pray for, especially the enemies of Holy Mother Church". Glad it was of service, Nic! As you may know, current Eucharistic theology holds that the Mass is both a sacrifice and a celebration, both dimensions held "in tension" at one and the same time. We "celebrate" Christ's sacrificial offering of his life for us by its reenactment with bread and wine, as a community of faith.